One of my favorite early summer fruit. Thinking about strawberries makes me feel mellow and warm inside as I imagine picking them, smelling their sweet aroma, and tasting their delicate juice. Their beautiful red color invariably inspires my desserts. But you already know that, n’est-ce pas ? I remember how my mother always made sure to keep the very first ones of the season for me to taste. Every year in May, including this year, my birthday cake is one that involves strawberries. 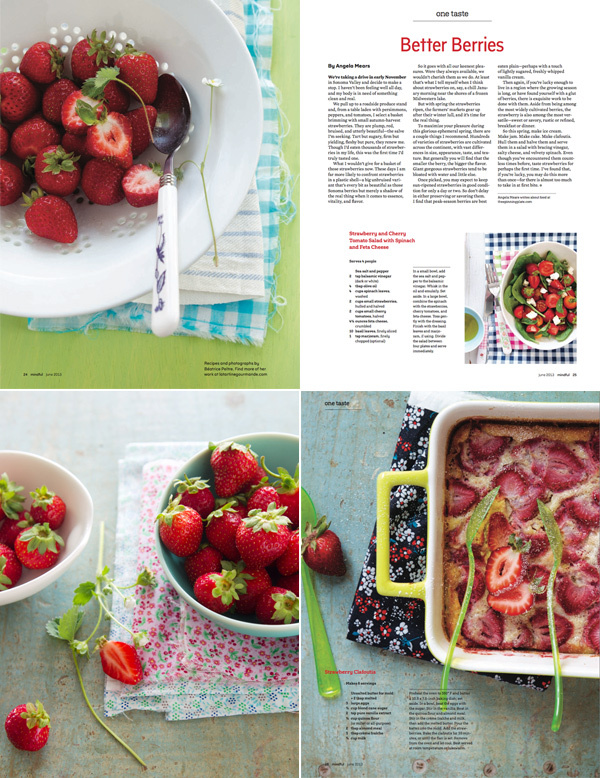 No surprise then that I right away suggested that we featured strawberries in a story for Mindful Magazine. I’ve told you about this magazine before, do you remember? And about how much I enjoy writing and styling recipes for it because they are about foods I love. In this second issue (June 2013), I share two recipes using these delicious gems. I hope you will enjoy. The recipes should be on their website soon. If not, inside the magazine for sure. 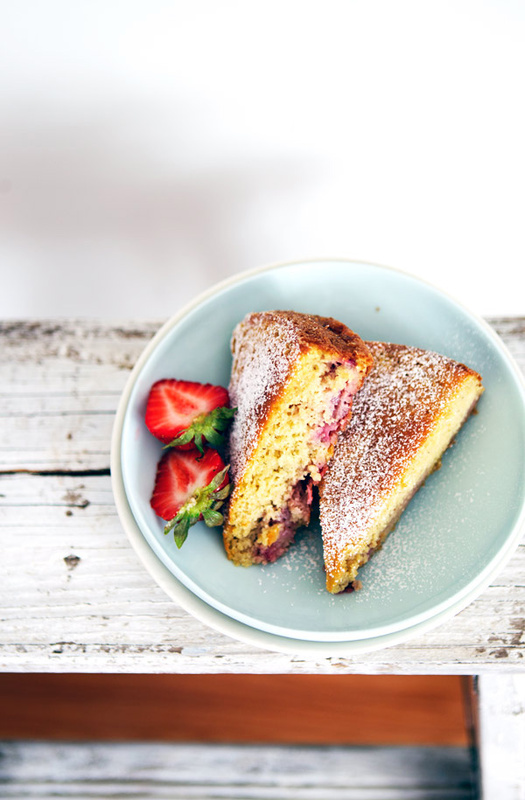 So many nice things to do with strawberries. Which is good, since I have half of a huge carton sitting in my fridge, looking at me every day, saying, “Why you no eat me yet?” Now there’s no excuse. Happy birthday! Lovely feature article and beautiful photographs. Another gorgeous and refreshing dish. It’s always a joy to stop by here. I love going strawberry picking! In fact, I’m hoping to bring my boyfriend in the next few weeks. The only problem is I eat them so quickly they hardly ever make it to a recipe and definitely not to the point of preserving! oh oui les fraises … j’aime attendre avec impatience leur apparition … au lieu de me jeter sur les fraises espagnoles dès février … je ne les apprécie que plus ! Merci de partager ces recettes et bravo pour cette nouvelle collaboration ! 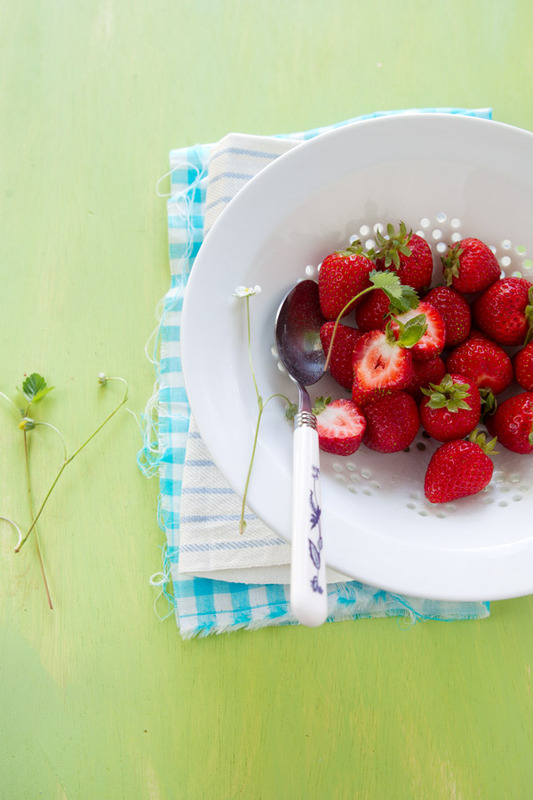 Gorgeous photographs, the strawberries look so good, I want to reach through the screen. My birthday cake also includes strawberries, with an almond meringue topping. Happy Birthday, Happy Mother’s Day too! Lovely red beauties! Looks delicious, and strawberries are beautiful at the moment! Delish! what beautiful photos. i am so crazy about clafoutis! almost any fruit, any season, and so delicious. 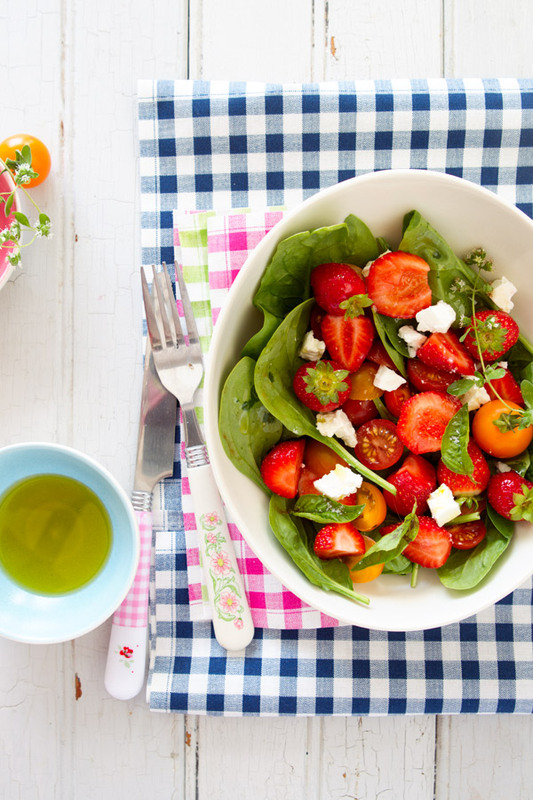 Strawberries are one of my favorite especially in salad with light dressing. Thank you for sharing the beautiful recipes & photos as always. Joyeux anniversaire Béa!!! Oh la la… tout me plait dans ce billet ! Happy Birthday Béatrice, may the creativity continue to flow & may you always find inspiration around every corner. Thank you for sharing your innovative inventions with us. Wonderful recipes, as usual. I cannot wait until strawberries are in season here in NYC. I will surely be making one of your recipes! OOooo how refreshing! Just picked up a fresh carton of these seasonal gems myself 🙂 What lovely recipes to inspire! A very Happy Birthday to you dear Bea, so happy I could dance for you and your husband on your special day! Ah strawberries, we are at the end of the season so will have to wait for spring. Until then your pictures give me a fresh strawberry hit. 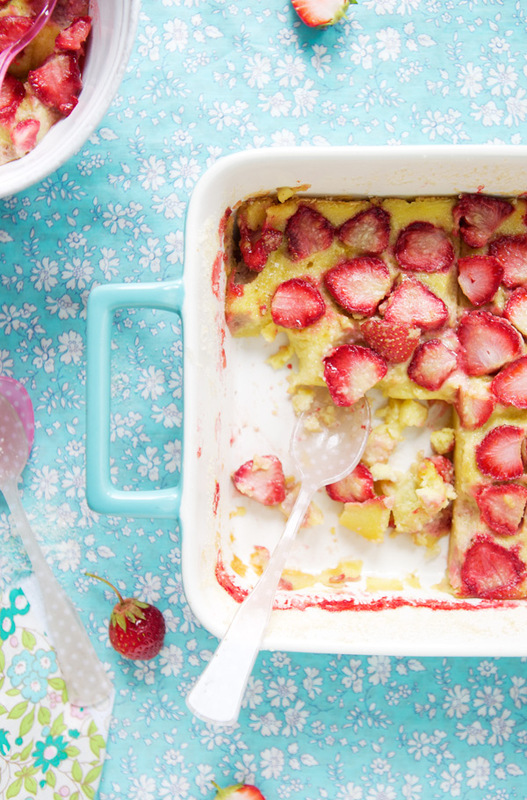 The Strawberry Clafoutis looks amazing. Great pictures. Looks delicious Bea! 🙂 will try whipping up a few of these! they look so cute and delicious,thank you!